The Streets of Afghanistan exhibition has a Afghan home in Kabul at the prestigious Afghanistan Center at Kabul University, ACKU. The center opened in 2013 and houses the Afghan Archives, and its auditorium hosts many cultural events. 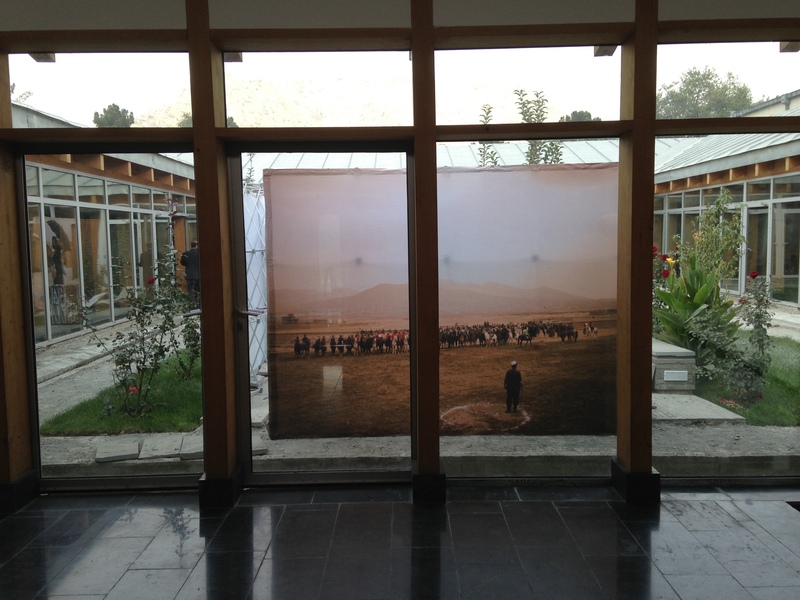 It is a fitting temporary home for the exhibition so that it can continue to be seen by Afghans for years to come at the Kabul University campus. The exhibition was picked up from the home of Sound Central founder, Travis Beard who had been storing it after the final show in the spring as part of the 3rd Sound Central Music Festival. Immediately the exhibition was put to use in the interior courtyard so that the staff could understand the exhibit and how it could be used in various ways in ACKU’s events. Just days later one of the pieces in the exhibition, a landscape by Beth Wald from Badakshan, was used in one of the speaking events they had in the auditorium to give depth and interest to the stage. Showcasing another way they will be using the exhibition in interactive and unique ways at ACKU. 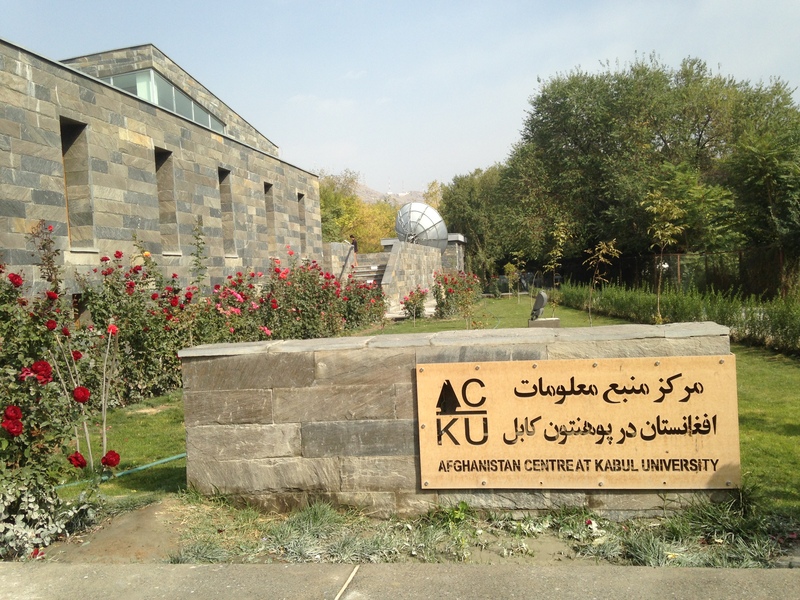 The Afghan archive is housed at Afghanistan Center at Kabul University, ACKU. The center was opened in the spring of 2013. 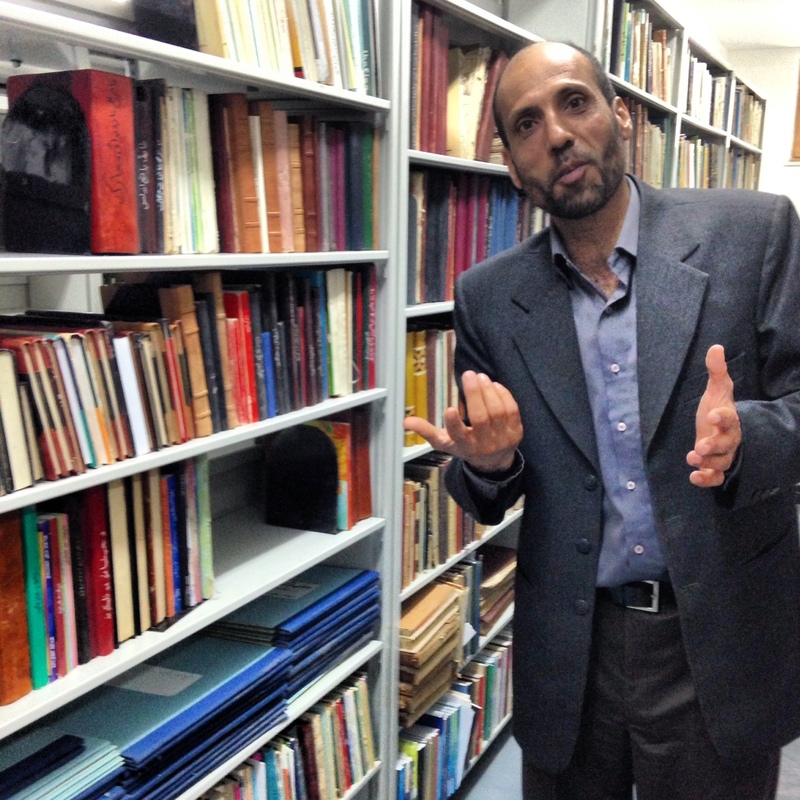 It is the only archive of its kind in Afghanistan and serves to collect and preserve all documents and books related to Afghanistan’s modern history, at this moment numbered around 80,000 and growing. 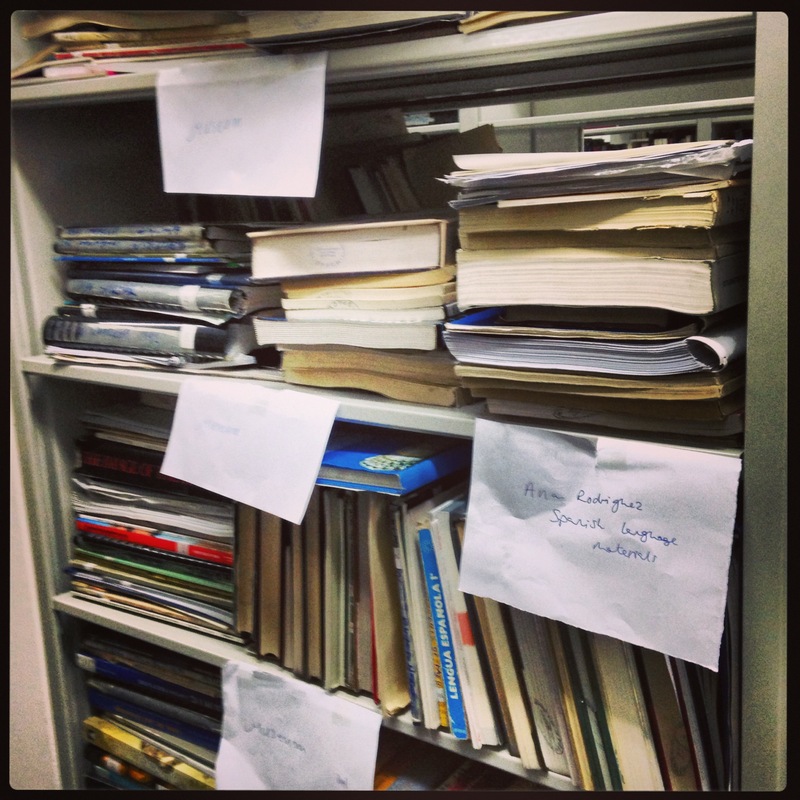 The bulk of the center’s archive was collected by Nancy and Louis Dupree who started collecting Afghan books and documents while living in Peshawar among Afghan refugees. 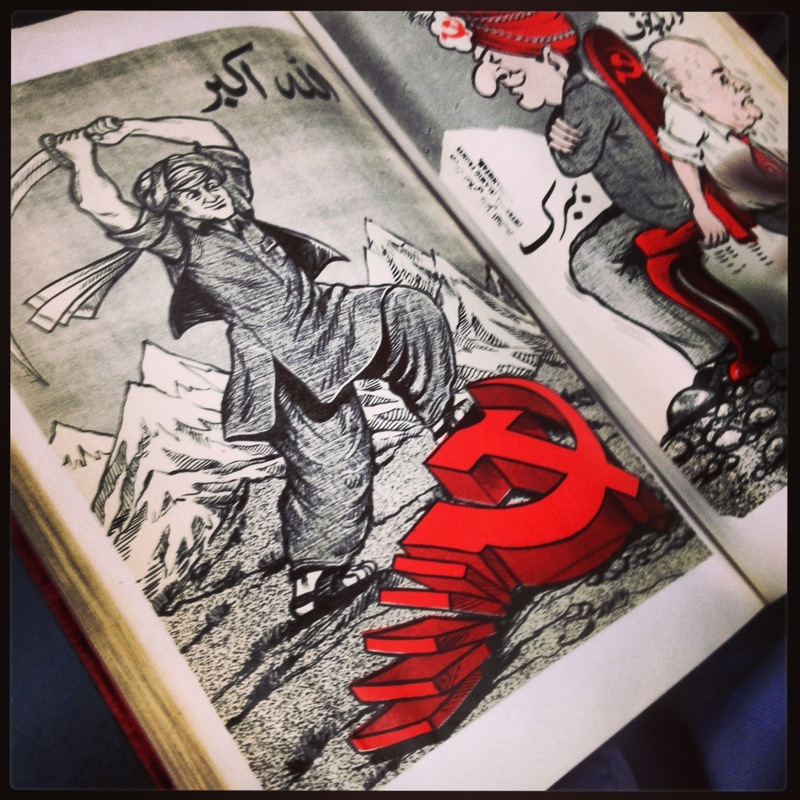 The eclectic colletion includes communist propaganda, UN reports, fliers printed by warlords, books, photography, and newspapers. 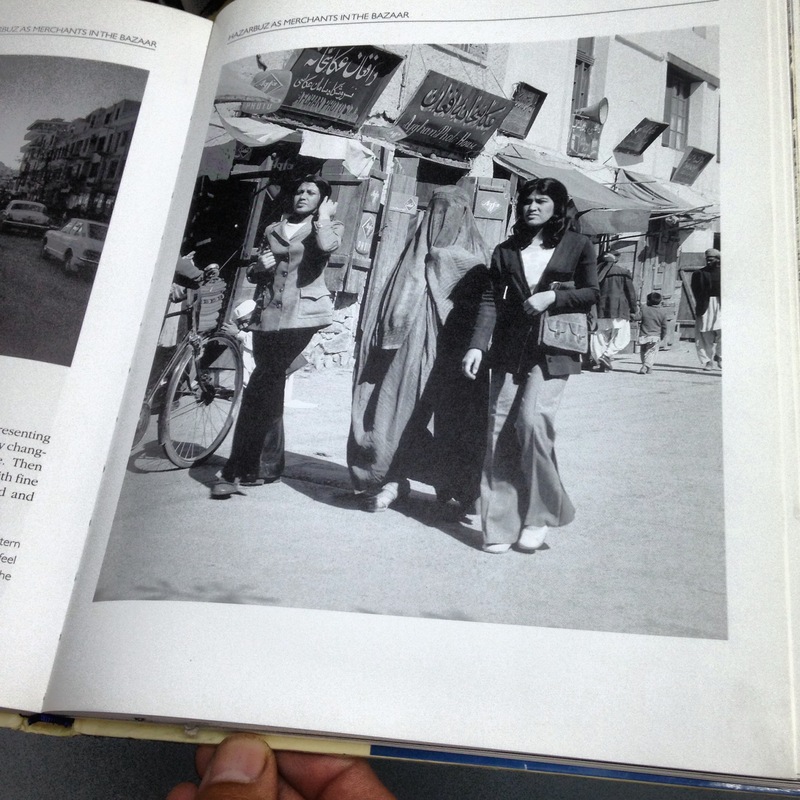 There are also a number of photography books from the 1960’s and 1970’s that show Afghanistan, and particularly Kabul in a completely different light than what most imagine it was. The fascinating part of the story is how Nancy got the collections from Peshawar to Kabul. 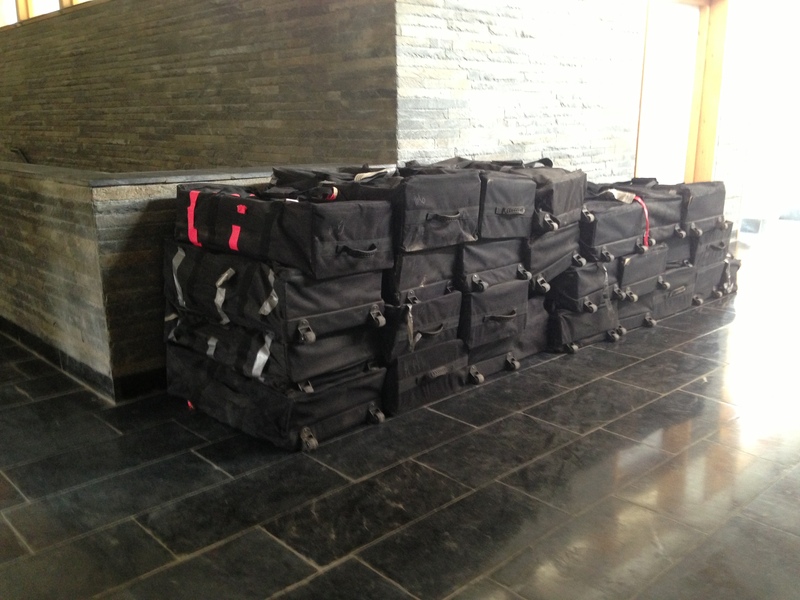 Starting in 2006, they began to smuggle around 60,000 documents back to Kabul in plastic bags hidden in trucks fearful that the collection could be destroyed if discovered. 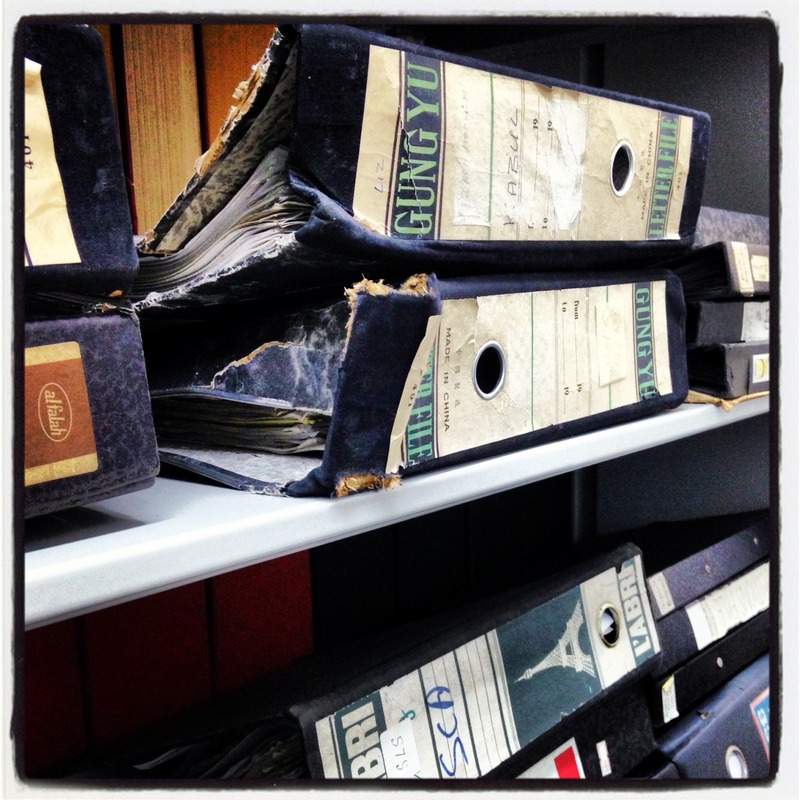 A team works to digitize all the documents in the archive for a free open sourced digital archive that anyone in the world with a computer can access. The enormity of the task means that the team estimates it will take till 2017 to catch up. 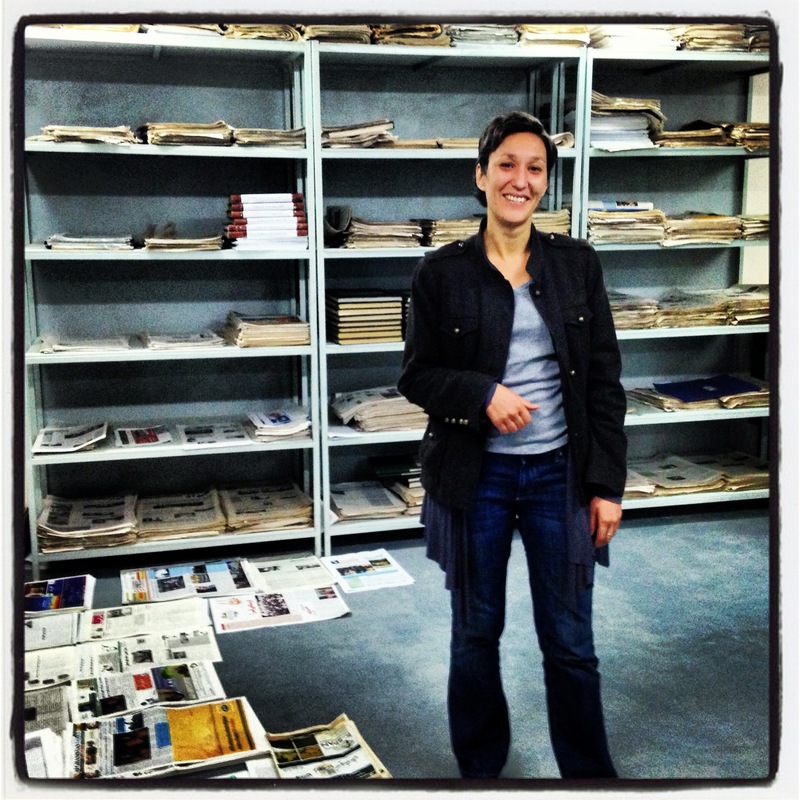 The archive not only preserves books and documents, it also had a separate room that houses a newspaper archive. I visited with my friend, Jelena Bjelica, a Serbian journalist living in Kabul, who is now working with ACKU. We were surrounded by piles of bound books of newspapers including Taliban newspapers under the name Shariat, and various mujahedeen newspapers, each faction had its own. 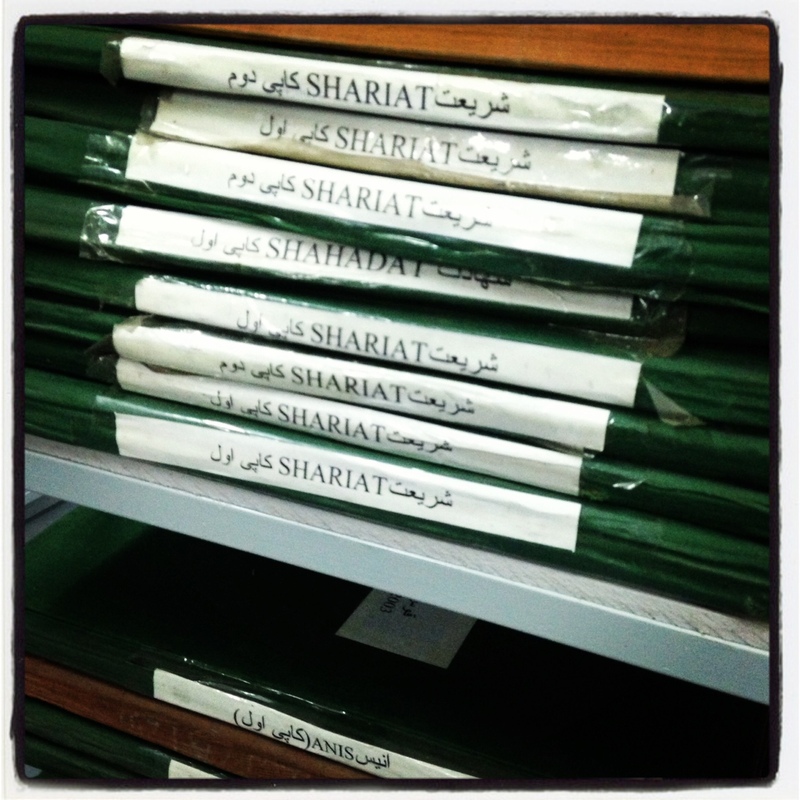 The library manager, Rahim Qaderdan, opened up a book of Shariat papers, noticeable for their lack of photographs. 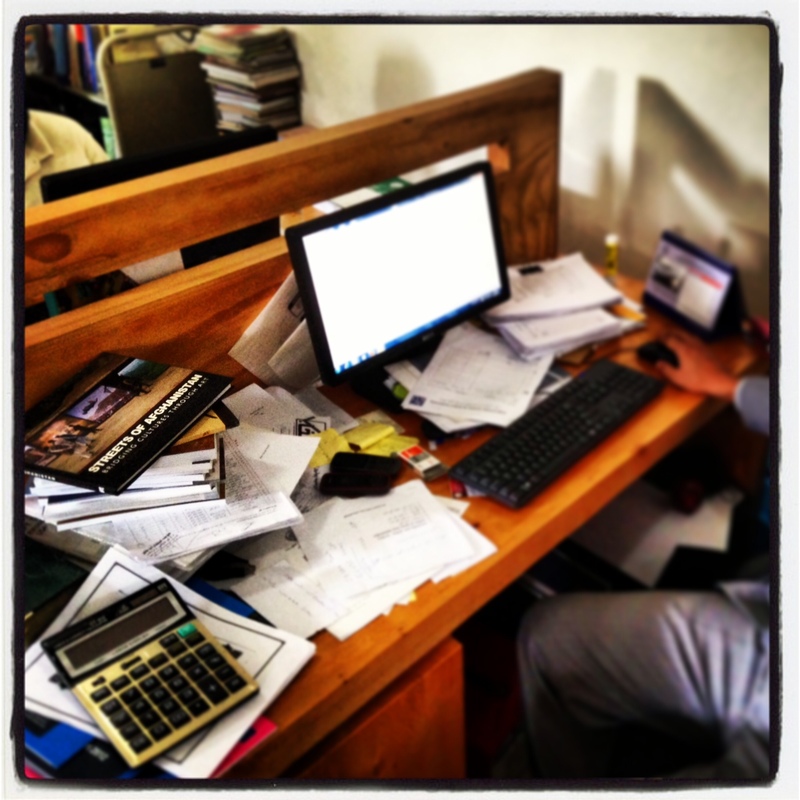 The sense of history that surrounded me, palpable in the yellow pages stacked to the ceiling. The collection first went to the Kabul Library and now is housed in a modern architectural building, ACKU, on the Kabul University Campus. The center hosts a variety of speakers and presentations in the auditorium. I was there to deliver a copy of the Streets of Afghanistan book for the archive. An incredible honor. I watched the book go to the archivist’s desk to get its identification number and label. It is now a part of the Afghan archive housed inside the Afghanistan Centre at Kabul University a part of Afghanistan’s modern history. 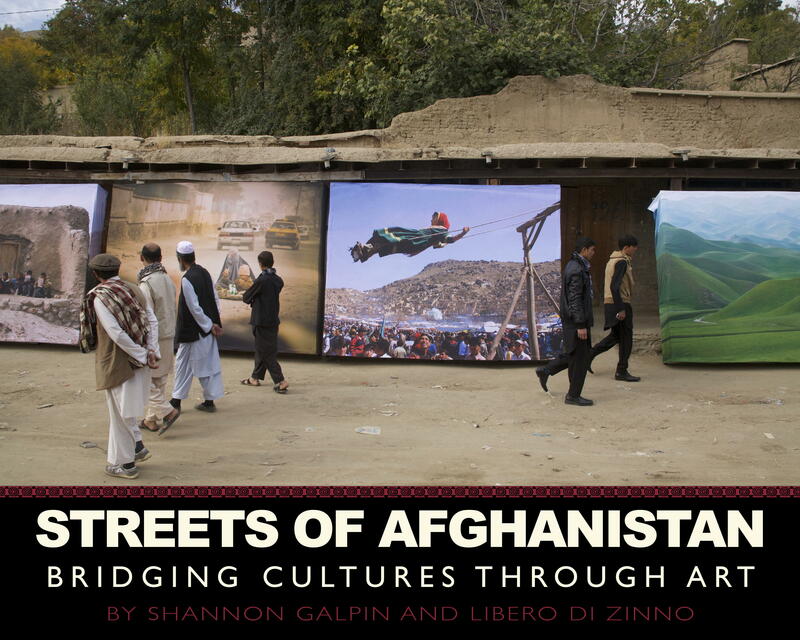 The book is available for sale – proceeds benefit Mountain2Mountain – at www.streetsofafghanistanbook.com by Hatherleigh Press. 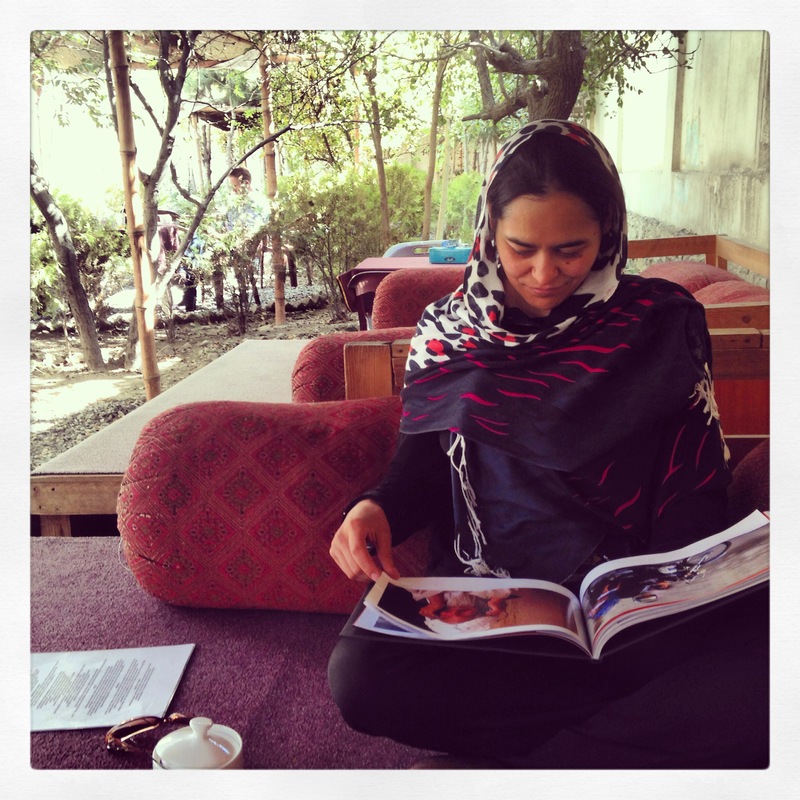 I had the pleasure of meeting with one of the talented Streets of Afghanistan photographers, Mariam Alimi, today in Kabul for lunch. I met her briefly 5 years ago, in November 2008, when I met all the Afghan photographers in Kabul for the first time at AINA Photo Agency to discuss the inception of the Streets of Afghanistan exhibition. I delivered her a copy of the book and over pomegranate juice and lunch we talked about the exhibition and the power of voice, the power of photography. As we talked about her career and how she started as a photographer in 2006, we talked about courage, and activism, and women’s rights, and our cultures. Mariam said at one point when talking about her start in photographer, “I was not so brave as I am now.” When I asked her to explain I was surprised to learn that it was intrinsically linked with the key photograph of hers that we used in the exhibition. One of her first photographs was one she took in Heart, its one that we had in the exhibit and its one of my favorites. This man was a poppy farmer near Herat decades ago, before the mujahedeen. During the civil war and the Taliban times he moved to Iran. While there he learned about saffron cultivation. When he returned in 2002, he starting planting saffron thanks to the help of an organization that gave him a few bulbs from the Netherlands. Each year his crop grew a little more and eventually he started sharing the bulbs with other farmers to cultivate. 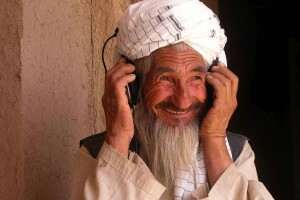 When Mariam met him it was to interview him as part of an organization to make a documentary about saffron cultivation. After they got done filming him, he asked if he could hear what he sounded like and they put the headphones on him and played back his interview. This photo was taken at the moment he first heard his voice and the look of pure joy hits me every time I see the photo. But Mariam almost wasn’t there to take the photo. 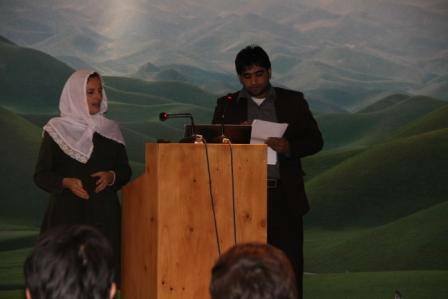 As a single Afghan woman, she lived at home and had to ask her father’s permission to go with her organization to Herat. She had never traveled without her family before, and she was scared to ask her father. She invited her boss, a foreign woman, to come to dinner and meet her family and in the conversations that followed, she asked Mariam’s father for permission to come with her to Herat. He agreed to allow her to go, and it was the first step of a journey that changed Mariam completely. She continued to ask permission to travel and now she has traveled all around Afghanistan, and to many countries, including the United States. Mariam leads by this example. She is unusual for Afghan women of her age, one of the handful of female photographers in Afghanistan, she walks the streets by herself, meeting strangers, taking photos. When she speaks with young girls, they often say to her, “I am not as brave as you, I could not do what you do”. Mariam tells them that it’s not a matter of being brave or not brave. It’s about taking a small step in the direction you want to go. Change yourself first, so that others see you for what you really are, and live your life in a way that reflects what you believe, and those around you change in unexpected ways in reaction to you. The finale show for the Streets of Afghanistan exhibition couldn’t have a cooler Kabul location than the 3rd Annual Sound Central Festival. Bigger and badder than ever, the alternative music festival has grown substantially each year since founder, Travis Beard launched the first ever Central Asia Rock Festival in 2011. Travis is a longtime friend, advisor to M2M, and frequent road trip companion to some dodgy places as my photographer-for-hire. He had asked me last fall if we could keep the exhibition in Afghanistan after our series of public exhibitions to set the backdrop and involve more art forms in this years festival. I couldn’t think of a more fitting finale. Sound Central Festival has grown from the initial one day rock festival at Babur Gardens, to a alternative music and art festival spanning four days on two stages with acts from around the world. 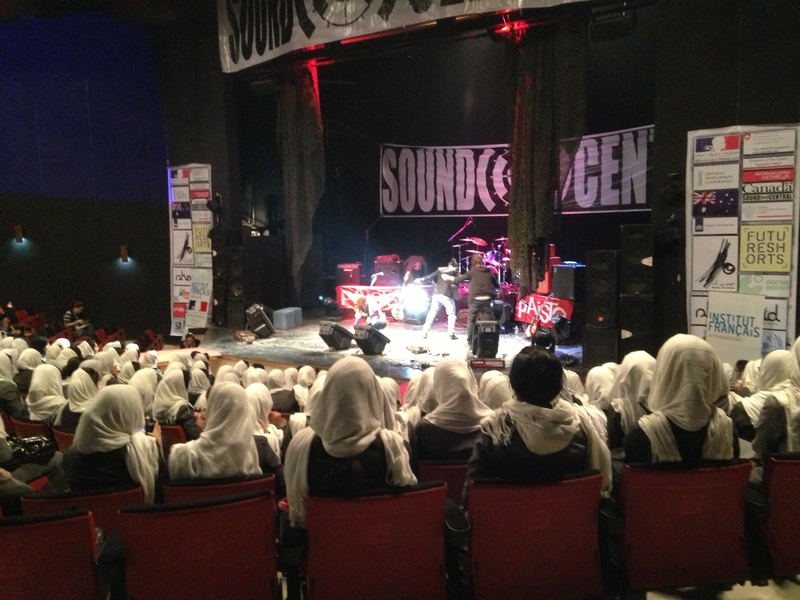 The festival kicked off with the Women’s Only day – which allowed orphanages and school girls to attend and experience a different sort of concert. Slam poetry, a fashion show, Afghan rap duo, films, and a killer performance by White City, and Ariana Delwari rounded out the indoor activities, along with various artisans in the lobby. Outside was the Streets of Afghanistan exhibition throughout the entrance courtyard, grafitti art with Shamsia, and Mountain2Mountain‘s Bike School with members of the women’s national cycling team. Once the music kicked off however, we took the three members of the national team inside so they could take part. The crowd was a sea of white headscarves from the schoolgirl’s uniform, and they cheered and clapped throughout the various acts. But when Ru Owen, frontman of Kabul expat band, White City took the stage – they went wild. She welcomed them in Dari and with arms open called out to her Afghan ‘sisters’. Goosebumps ran down my spine at her wide smile that showed her genuine pleasure to take the stage in front of all these young girls, who for most had never been to any concert, much less one like this – a full blown rock concert with a strong female lead. Without further ado, Ru, Travis, and Andreas rocked their world and the girls loved every minute. The finale show in Afghanistan for the Streets of Afghanistan exhibition will kick off tomorrow at the Sound Central Festival. The festival is in its third year, and is the brainchild of Kabul filmmaker/photojournalist/rockstar Travis Beard. The festival started as the first Central Asia alternative music festival and each year has grown to include street art, film, and break out sessions outside of the main stage. The festival kicks off with a women’s only day, inviting upwards of 500 schoolgirls and orphans to attend to listen to music, watch a film by Afghan American singer/songwriter/filmmaker, Ariana Delwari, and learn about contemporary art. In the courtyard girls can learn to skateboard, bike ride, and experience art. The goal is to engage young Afghan girls that wouldn’t normally have the opportunity to be exposed to art and contemporary music and sport. Next up is where they begin to really rock – three days of rock, alternative, punk, rap, and everything in-between as Sound Central rocks Kabul on two stages. This is not for the expat scene, Sound Central is open to the public and about engaging Afghan youth in contemporary and alternative music, while highlighting the music scene in this region and beyond with bands from Afghanistan and its neighbors like District Unknown, Kabul Dreams, Tears of the Sun and many more. 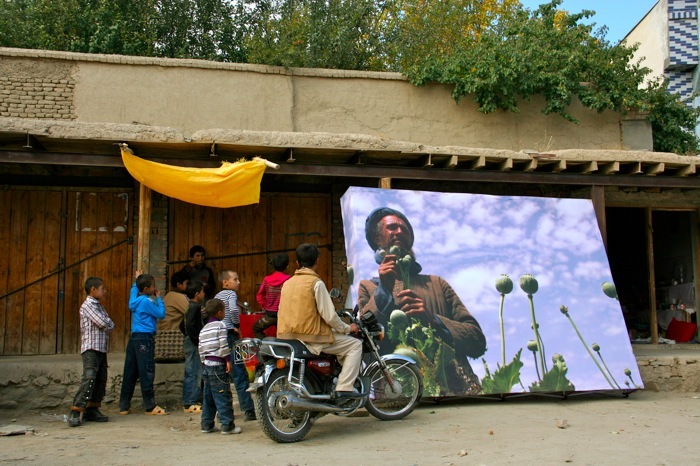 The Streets of Afghanistan was a project based in hope. 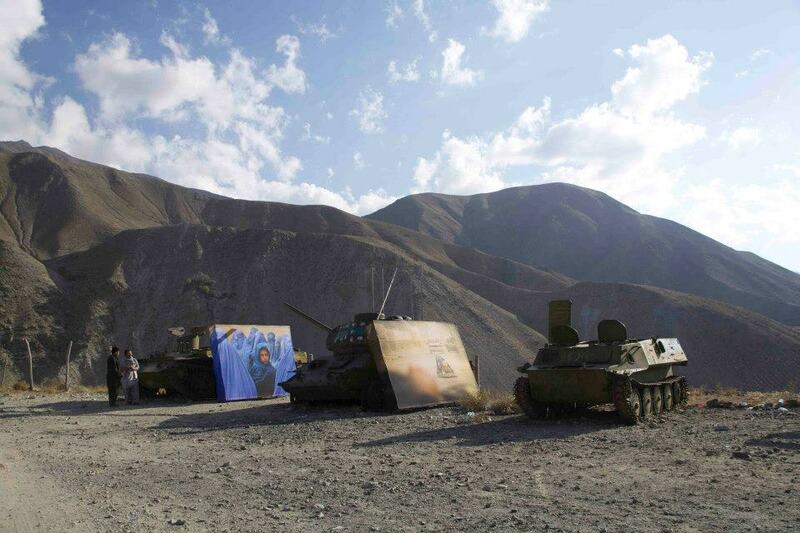 Using photography as voice, and art as activism, we set up a series of street art installations in Afghanistan. Red Reel was with us to document five of the seven exhibitions. We can now share with you the beauty of the country, the reactions of those that saw the exhibition, and the place that art has in conflict zones. It was such an honor to bring this exhibition to Afghanistan and to share it with Afghans. We return in the spring for a finale exhibition in a secret location, and then distribute the photographs to orphanages, girls schools, women’s groups, Kabul stadium, and the Mayor’s office as a thank you for his office’s support of this public exhibition in the Kabul locations. Thank you everyone that supported this project, we couldn’t be prouder. Ask westerners living in Afghanistan what they think about the country’s future and you get a variety of answers, most cynical. But the best response I heard was two weeks ago over a coffee at Kabul’s Flower Street Cafe, “The people are sweet and the country’s a mess”. 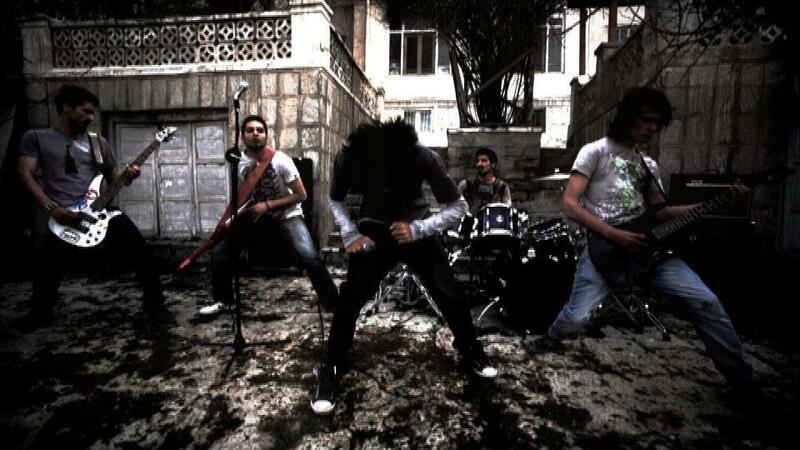 Shamsia epitomizes the ‘people are sweet and the country’s a mess’ like few others. An artist and faculty professor of fine arts at Kabul University, she has a soft disposition and gentle face with large brown eyes and an easy smile that makes her seem even younger than her 23 years. 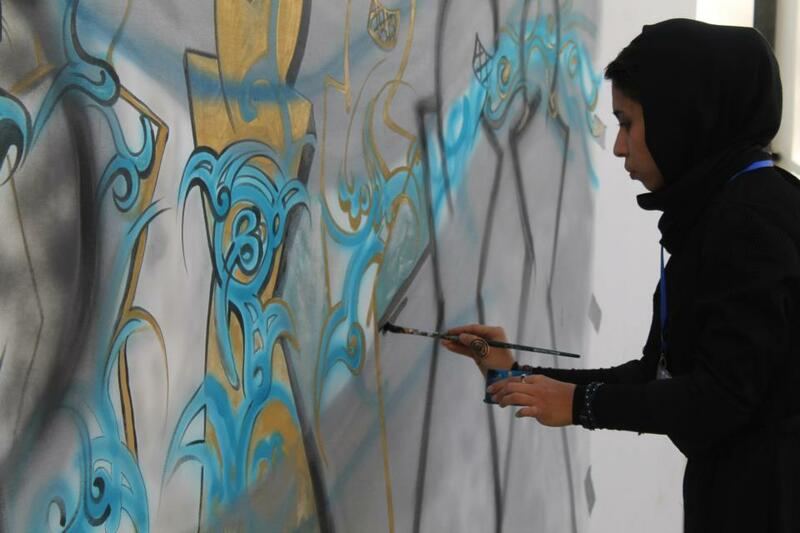 After knowing Shamsia virtually for two years, I finally got to sit down with her at the artist refuge, The Venue in Kabul where one of her murals is a work in progress on an interior wall, to discuss her vision of art in Afghanistan and beyond. Against the odds, Mountain2Mountain completed 5 public exhibitions and 2 photo stagings at historic sites over the past two weeks in Afghanistan. The first was a staging at Kabul’s historic Darulamon Palace. 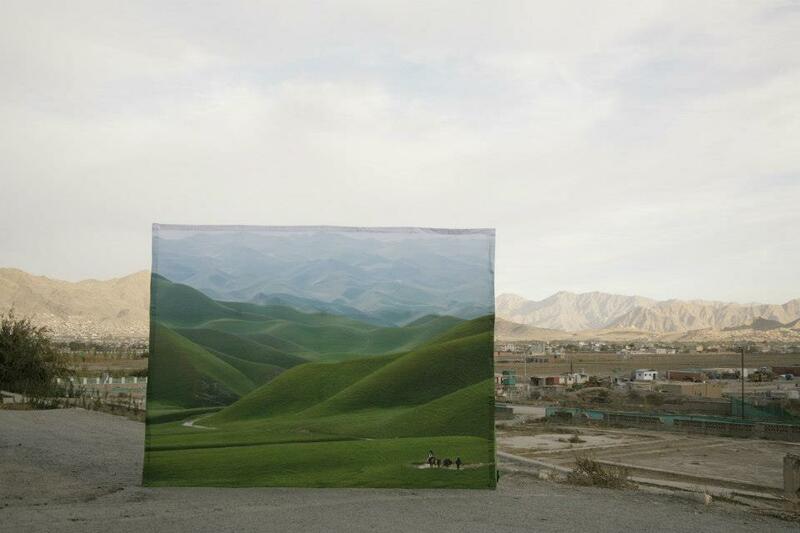 What does it take top produce a handful of full-scale public photo exhibitions in Afghanistan? We broke it down by numbers. 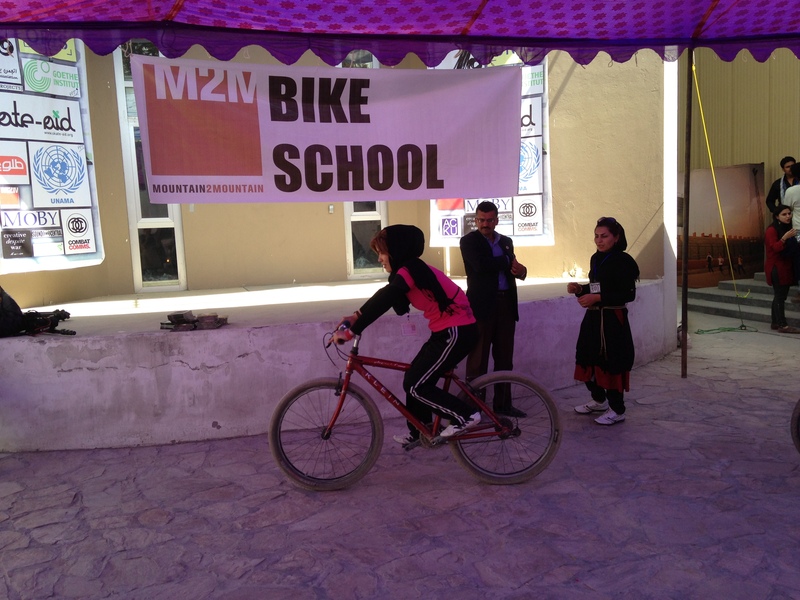 Women were a rarity at the three public exhibitions in Afghanistan. While many families attended Babur Gardens, only a few saw the exhibition in Istalif and the Kabul Zoo. Therefore, it was a pleasure to bring the exhibition to the Women’s Garden in the heart of Kabul.